They combine the comforts of luxury of hotel rooms with the adventure of sleeping under the stars. 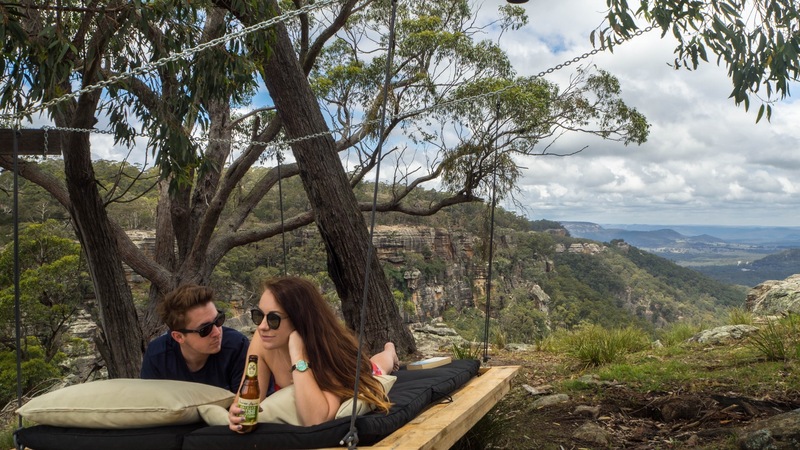 We sent the Time Out team to review the best glamping sites in NSW – from beachside retreats to wine country getaways. 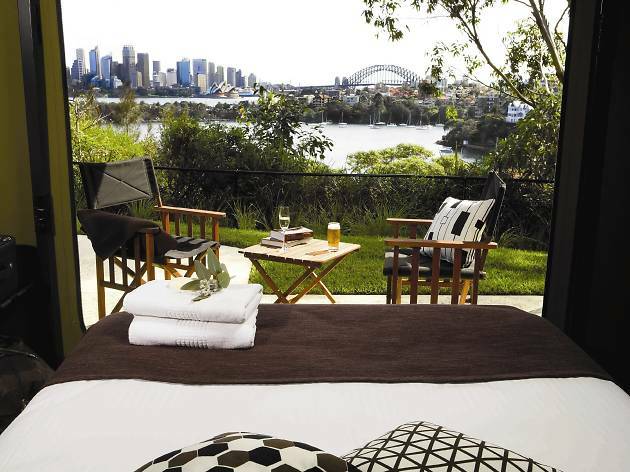 For more travel inspo, check out the best Sydney camping spots, short getaways from Sydney and our top Sydney staycations. 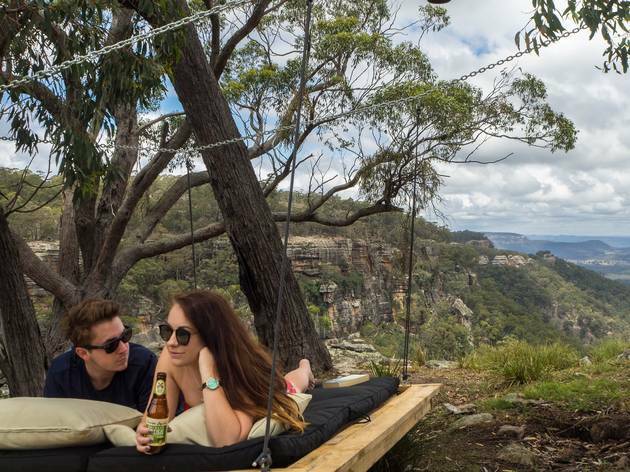 RECOMMENDED: The best waterfalls in Sydney and NSW. Turon Gates Country Resort is such a well kept secret, not even Google Maps knows where it is. 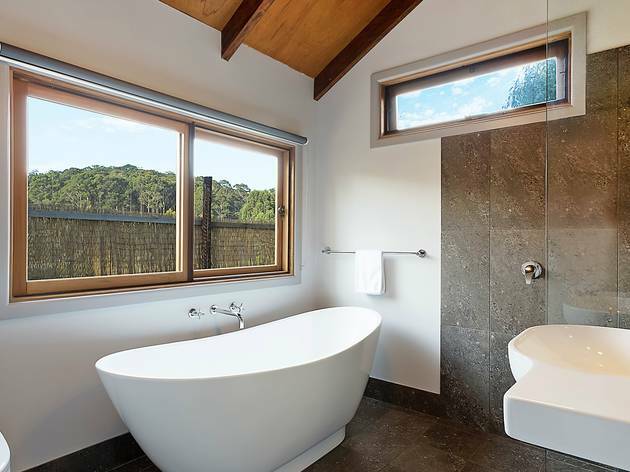 It sits on the western foothills of the Blue Mountains, just northwest of Wolgan Valley, on the road between Lithgow and Mudgee. Look up, and you might catch a white bellied Australian kestrel hovering above you. Look behind you as you gain altitude and you might see a wedge-tailed eagle winging across the plain below. It looks like it was cut out of a European fairy tale and dropped into the Australian bush. Situated around 25 minutes north of Mudgee, Sierra Escape is an off-the-grid, camping-style experience that offers the comforts of a five star hotel. Emphasis should be placed on ‘escape’ here – the dirt road from the centre of Mudgee means it's a bit out of the way – but the journey is a small tradeoff for its secluded location. Wildlife around the camp is abundant: small green tree frogs hop along gravel roads, crimson rosellas perch in the trees just metres away from the tent, kangaroos bounce over fences and sheep, and llamas and cows graze in neighbouring paddocks and fields. 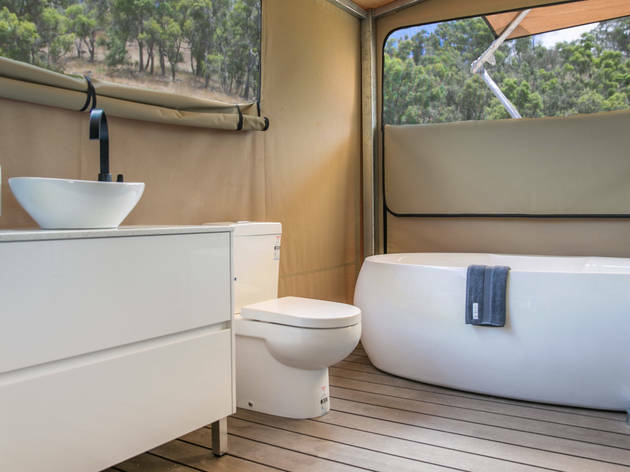 If you’re a deeply entrenched city slicker then there is no softer landing into a camping experience than a stay at Tanja Lagoon Camp. 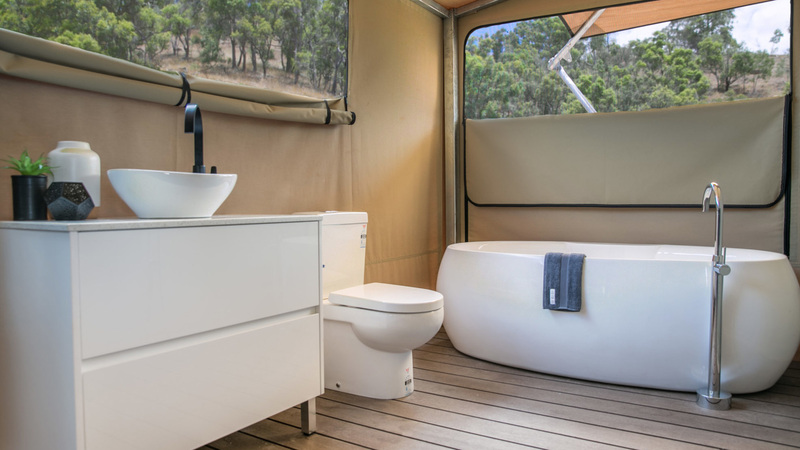 If you're accustomed to roughing it a little, prepare to experience camping luxury – all the good bits with no inconvenience. 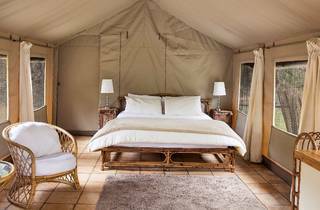 They’ve set up four expansive safari tents on permanent timber platforms ringing the lagoon in a manner that guarantees absolute privacy. 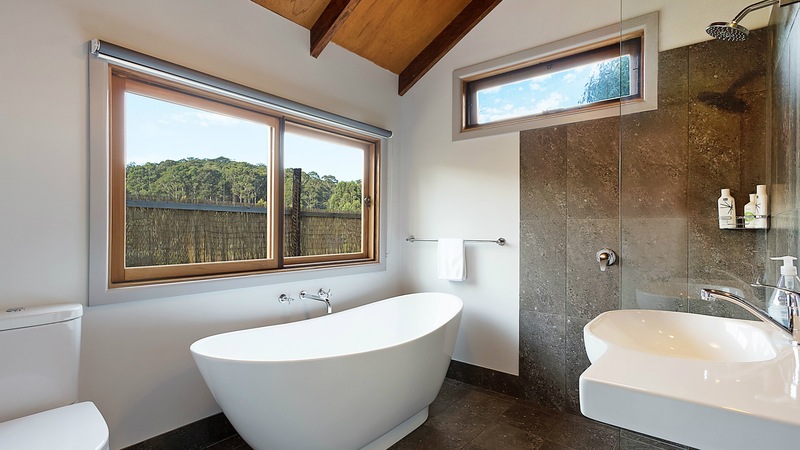 This is especially good news given there is a full-sized bathtub next to the window for soaking with a view. 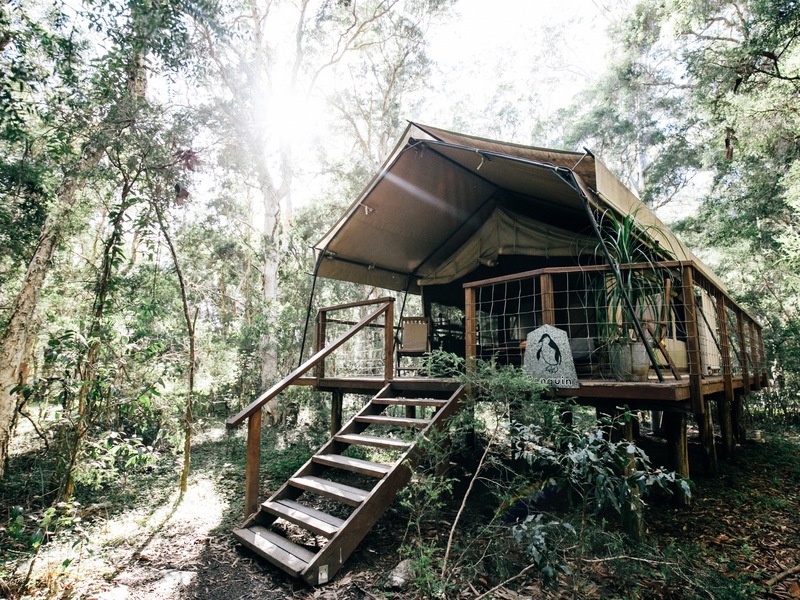 Paperbark Camp, found ten minutes’ drive from Huskisson in Jervis Bay, is the antidote to all those shoestring family camping trips (and the subsequent backache). 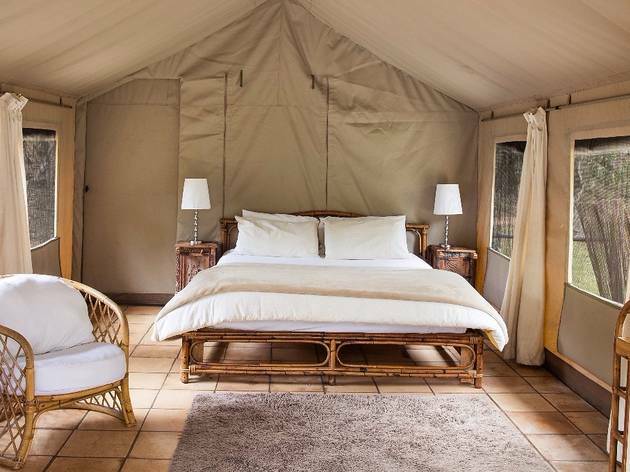 It’s by far the most glamorous way to camp under the stars that we’ve ever experienced, from the queen bed with bamboo and cotton linen to the outdoor roll-top bath with white cotton robes and slippers. 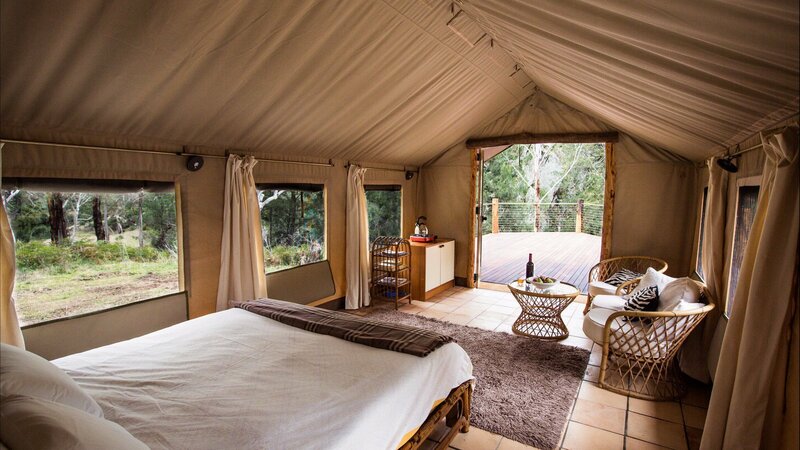 Raised above ground and surrounded by a canopy of gum trees, the tent felt more like a hotel suite with a constant breeze from the open canvas windows. Imagine camping scenes from Game of Thrones, but with less death and more WiFi access. Generally, things that look incredible on Instagram underwhelm in real life. Australia’s first bubble tent – aptly named Bubbletent Australia – is not one of those things. In fact, like the moon, fireworks and big stadium pop shows, the bubble tent is actually a lot more impressive in the flesh (well, polyurethane membrane). 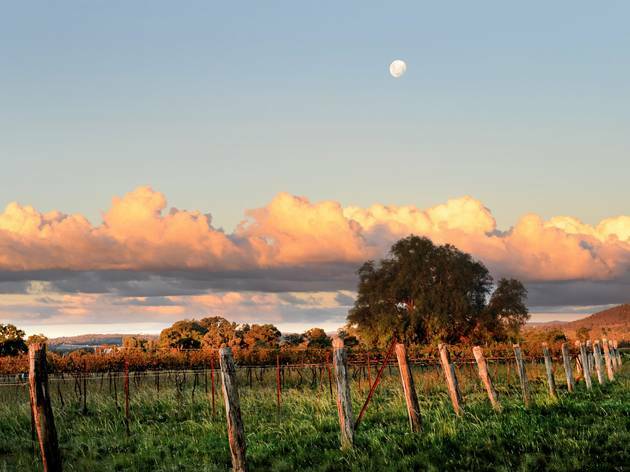 There are three tents to choose from, each overlooking a different aspect of the Capertee Valley, the largest valley in the world. All three offer total seclusion, which is not only pleasant but needed, since the central chamber of each one has a 360 degree view out, and in. 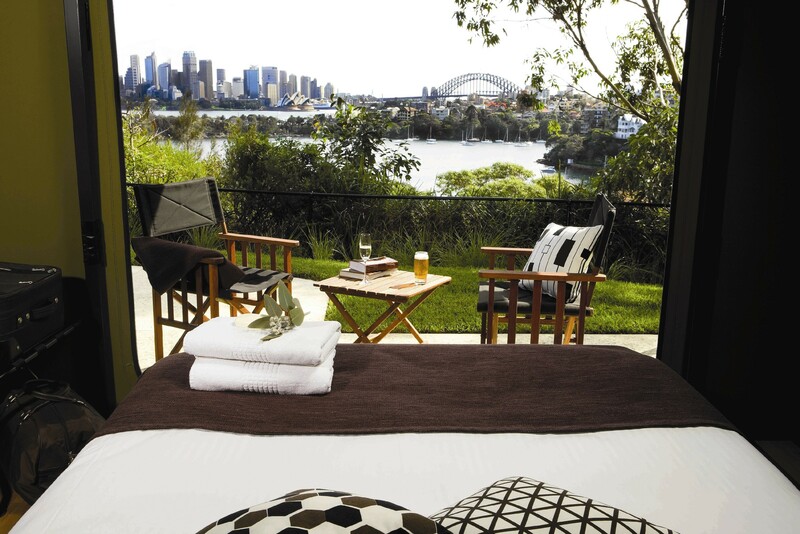 Roar and Snore is Taronga Zoo’s long-running overnight experience. It starts after the gates have closed on daytime visitors and continues until they open again at 9.30 the following morning. 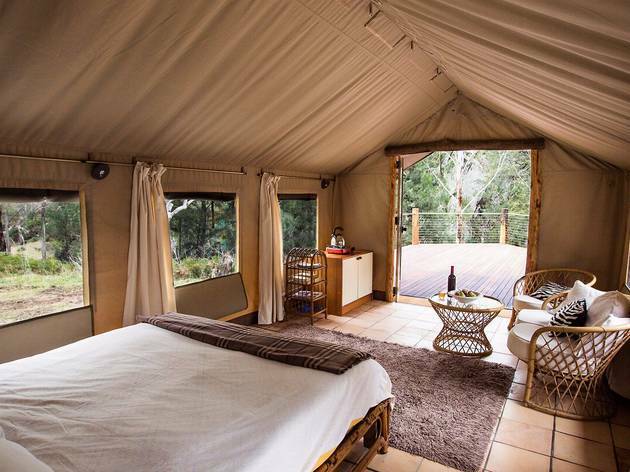 It’s one of the biggest income generators for the not-for-profit wildlife organisation, and at $320 per adult for a Saturday stay, it might seem expensive for a night under canvas – but then again, how often do you get to sleep at the zoo? You'll meet critters at sunset; see lions, tigers, snow leopards and a sun bear fed late-night snacks; and dine at the zoo’s restaurant. 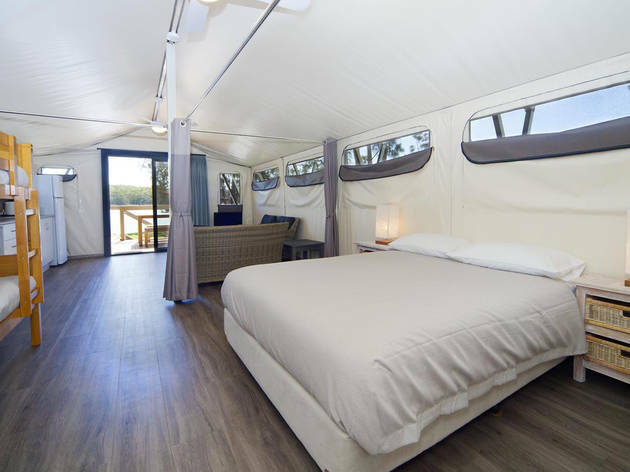 It's more accessible than glamorous, but the waterfront accommodation at Lake Conjola Entrance Holiday Park will still scratch the luxury getaway itch. Elevated from the ground and furnished up the wazoo, the lodging has all of the mod-cons (including a television and microwave) but with the added bonus of the sound of pattering rain on canvas. 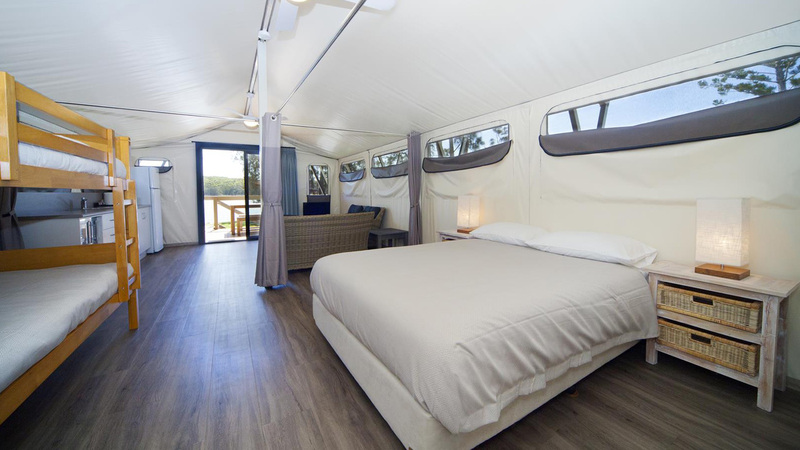 Unlike more romantic glamping packages these tents have space for four people; there's a comfortable queen bed joined by a double bunk bed, which is perfect for families or small groups. 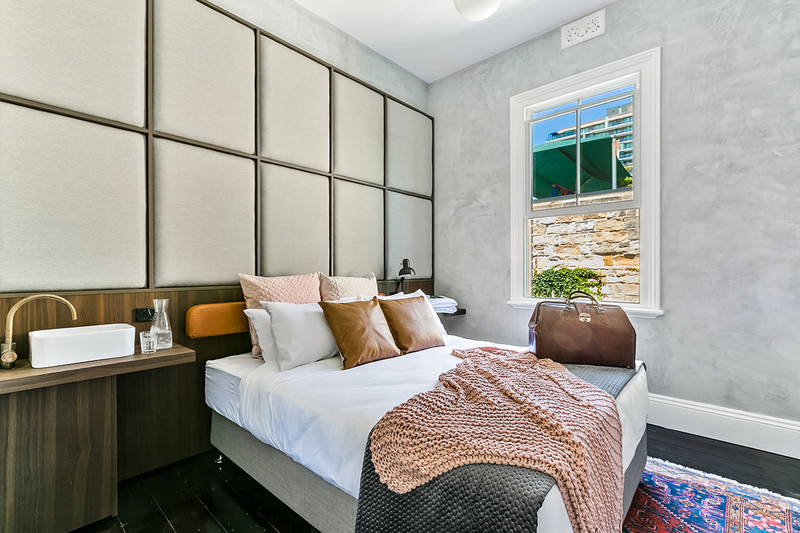 Boutique hotels offer a delicate balance between luxury interiors and intimate (and often innovative) spaces. 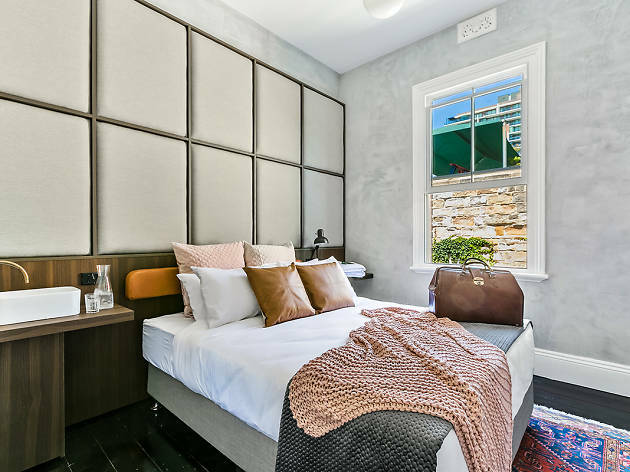 These are the best boutique hotels Sydney has to offer, found in the central business district and as far out to the city’s beach suburbs.